Photo left: Lanny Thomas as Bernard in "The Wall." The Wall, a short film about two isolated people separated by an apartment wall but connected by music, is made all the more interesting when you know what filmmaker Michael Lloyd Green told me: the two-person cast consists of a musician who has never acted and an actor who is not a musician. Musician Margaret Van Every fit the casting as a Hungarian Jewish violinist  though she herself was never in a concentration camp. Actor Lanny Thomas just has to look like he knows how to play the cello. And the music... Green’s music director, Gregory Tripi, recorded an improvisational violinist and cellist who were separated but wired together. That yielded realism for the improvisational duet in this zero-dialogue film about the power of music. The Watchmaker’s Son comes from writer-director Brandon McCormick of Whitestone Motion Pictures. This short but visually rich film is a fable, set in the 18th or 19th century. Following in his aging father’s footsteps, a man thinks he must make the perfect timepiece to earn his father’s pride and love. He learns that the ‘time’ his father wants from him is of a different piece... the more intangible kind. The Watchmaker’s Son landed in the festival via a unique route. Instead of the filmmaker seeking festival exposure by submitting his work for consideration, Heartland director Jeffrey Sparks happened upon it at YouTube and invited McCormick to put it in the festival. Slow and The Phone Book, by Kurt Kuenne, are two parts of a larger puzzle  a puzzle that will grow to become a feature-length anthology. Kuenne’s previous short films Rent-a-Person and Validation are connected to Slow and The Phone Book through shared characters and scenes. The filmmaker said he plans to make three more shorts, and The Phone Book would then become the seventh and final short in the anthology feature. It brings together all of the central characters from the other films. What is unique about The Phone Book is that all the lines in the film come straight from phone books. What is unique about Slow is that it is created entirely through still shots. Kuenne landed a theatrical release this past fall for his feature documentary Dear Zachary, which chronicles the life of a friend who was murdered. Karla’s World comes to us from Danish director Charlotte Sachs Bostrup. The film, written by Ina Bruhn and Renee Simonsen and set in Denmark, follows the slice-of-life emotional journey of ten-year-old Karla. Her parents are divorced, her father is struggling with alcoholism, her mom has remarried, she has two younger brothers, and the Christmas holiday isn’t exactly the warm and fuzzy time Karla was hoping for. She decides it’s time to run away. Her disillusionment becomes an eye-opening experience not only for Karla but for the people who love her. Even with subtitles and a lack of superheroes and cute computer-generated animals, nine-year-old Jared watched the whole film. That was all the more pleasing knowing this is a film written and directed by women, telling the tale of a young girl’s quest for happiness. Photo left: Tinker Bell reception. Tinker Bell was the feature film for Heartland’s Family Movie Event. Festival director Jeffrey Sparks was pleased to inform the audience that Disney helped them fit Indianapolis’s historic Murat Centre for the screening. For it was the world premiere not only of this Disney computer animated film but of Tinker Bell herself. Disneyland and Disney World have always had a variety of well-known characters strolling the grounds, greeting people and making kiddies smile. But even though Tinker Bell, who debuted in Peter Pan in the 1950s, entered the American lexicon long ago, the character never existed in human form in the parks. Now she does. 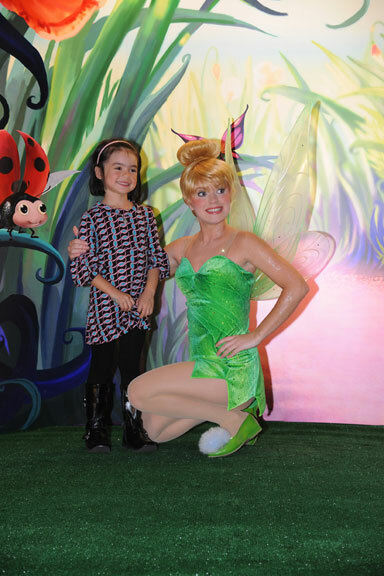 And Tinker Bell’s very first public appearance was at Heartland’s Family Movie Event, specifically at the party held right after the screening. Kids lined up to get their picture taken with this famous little fairy. Kids of all ages also lined up for some fancy and delicious homemade cookies. The movie, which was a DVD release before Christmas, is aimed at the youngest crowd. Its focus on a female character and several other supporting female characters makes it a refreshing change from the majority of computer animated films. Sixteen years ago, a group of visionaries united to create a unique film festival to honor beautifully made films that emphasize the best of the human spirit and to give filmmakers the things most needed to continue making those films  cash prizes and opportunities to showcase their work. The non-profit organization has expanded far beyond its regional founding in 1991. As a result of its growth, a new parent organization  Heartland Truly Moving Pictures TM  was created in 2007. The change highlighted the organization’s industry award, the Truly Moving Picture Award, while at the same time redefining its commitment to filmmakers, studios and distributors whose projects address challenging subjects, yet provide meaningful storylines and resolution. Heartland also expanded its film festival programming, year-round marketing efforts and events and its rapidly growing “Finding Inspiration in Literature and Movies” project (F.I.L.M.) in association with the National Collaboration for Youth. Each year, the Festival awards $200,000 in cash prizes and presents its Crystal Heart Awards to the top-judged submissions. Heartland has awarded more than $1.6 million to support filmmakers during the last 16 years. The organization’s Truly Moving Picture Award was created to honor films released theatrically that align with Heartland’s mission. By bestowing a watermark to honored films, the award allows studios and distributors to inform audiences of a film’s uplifting message and appeal. Heartland is also dedicated to its relationship with the National Collaboration for Youth and its expanding F.I.L.M., “Finding Inspiration in Literature and Movies,” project. For more information, visit www.TrulyMovingPictures.org. 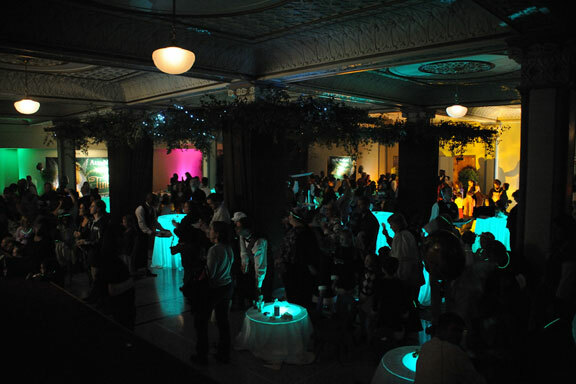 October offers moviegoers a rare glimpse at these independent films and special events for film enthusiasts of all ages, including a black tie awards gala, a special family movie event, an education seminar featuring industry experts and much more. Festival attendance has increased the past six years with a record of more than 21,000 attendees in 2006. © 2008-2009 Film Entertainment Magazine / EMOL.org. All rights reserved.